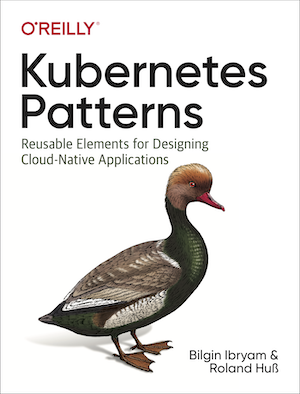 GitHub - k8spatterns/examples: Examples for "Kubernetes Patterns - Reusable Elements for Designing Cloud-Native Applications"
Want to be notified of new releases in k8spatterns/examples? Installation instructions for the example prerequisites are summarised in INSTALL. By default, you need access to a vanilla Kubernetes installation, like Minikube. If addons are required, the example description explains this additional requirement. For feedback, issues or questions in general, please use the issue tracker to open issues. Also, we love contributions like spelling fixes, bug fixes, improvements, …​ Please open Pull Requests, we are happy to review them! Our sample random generator dealing with hard requirements on ConfigMap and PersistentVolumeClaims as well as with resource limits. Rolling and fixed update of the random generator Deployment from version 1.0 to 2.0. Liveness and Readiness probes for the random generator. postStart and preStop hooks demonstrated with the random generator application. Example with node selector, pod and node affinity, taint and tolerations demonstrated. Using the Downward API for setting environment variables and mount resource fields as files with the random-generator service. Several examples of how to use immutable configuration containers for application configuration. This includes examples for the plain Docker case and for Kubernetes. Example how to use a template configuration standalone.xml which is processed with a template processed and filled with data from ConfigMap before a Wildfly server is started. Simple, pure shell based controller which watches ConfigMap resources for changes and restarts Pods by using a label selector provided as annotation. An additional example controller exposes an Ingress route when it detects an exposeService label attached to the service. Operator based on the ConfigMap watch controller and introduces a CRD ConfigWatcher which connects a ConfigMap with a set of Pods to restart in case of a config change. Setup a chained build on OpenShift and use Knative build for doing builds within the cluster.